Corum Big Bubble 52 Flag watch. 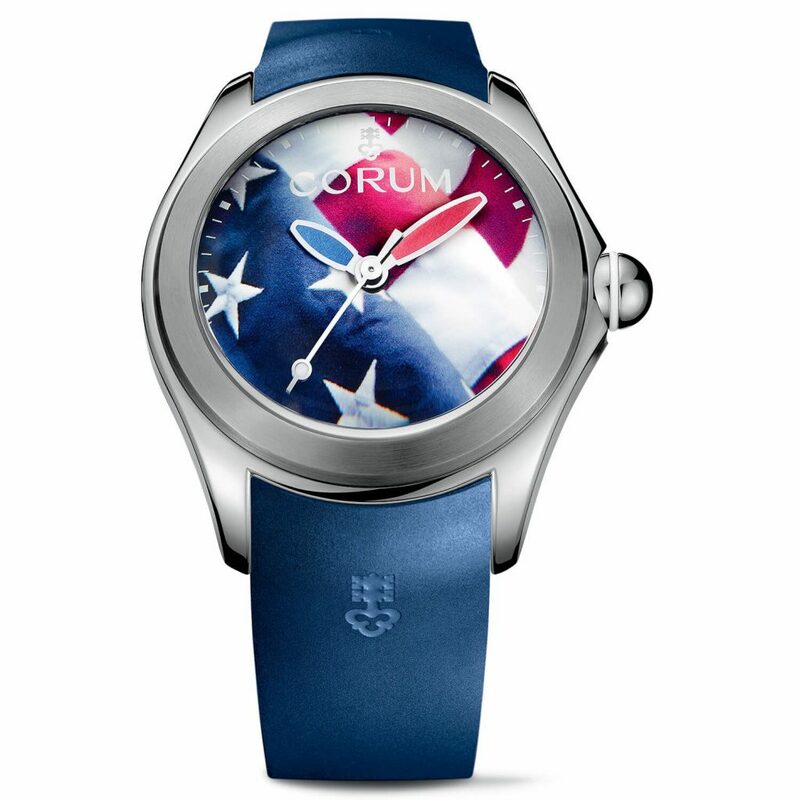 Fourth of July celebrates America’s Independence, and we cant think go a better way to show off patriotism than with the Corum Bubble Flag watches. The beloved Bubble watch, with its incredibly high-domed sapphire crystal, is an icon for the brand, and one thoroughly embraced by American watch lovers. As such, it makes sense that the brand would utilize its Bubble 47mm and its Big Bubble 52mm watch cases to show off true American spirit on Independence Day. Each watch is crafted in titanium for ultra-light weight. The Bubble 47 Flag watch is powered by the CO 082 automatic movement with 42 hours of power reserve, while the Big Bubble 52 Flag watch is powered by the CO 403 automatic movement. There are two versions of the 47mm Bubble Flag watch. Each of the American flag timepieces is water resistant to 100 meters, finished with a vulcanized rubber strap and features red and blue SuperLumiNova hands. The Big Bubble 52 Flag watch retails for $5,100. 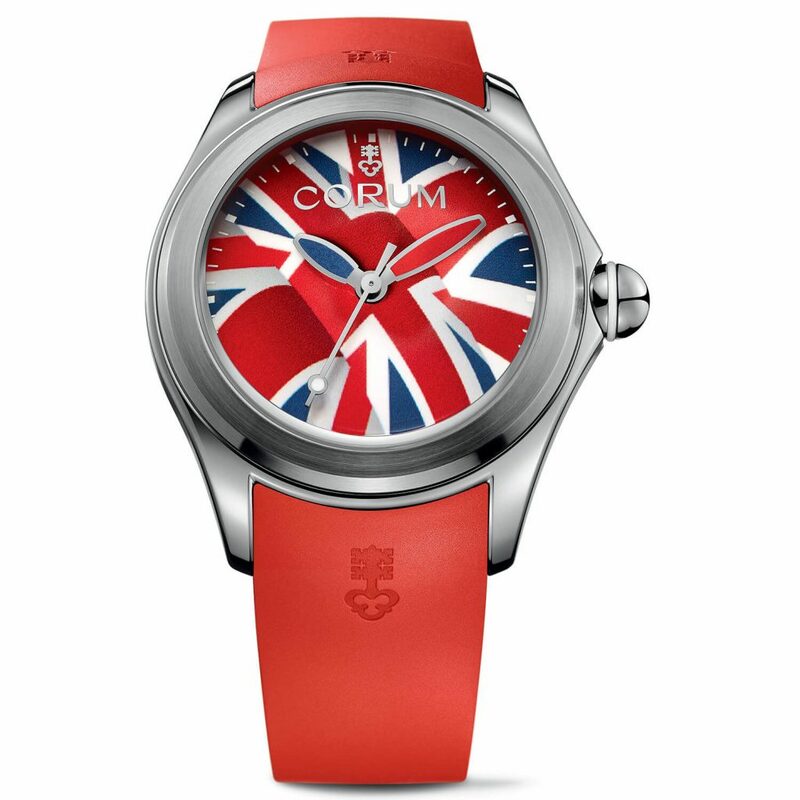 A variation of the Corum Bubble 47 Flag watch.